Beautifully broken. Celebrating one year with Mohale! Tears dripped from my chin as David’s gently spoken words sounded like a miracle. called us trembling out of the boat. One year ago today, it felt surreal. 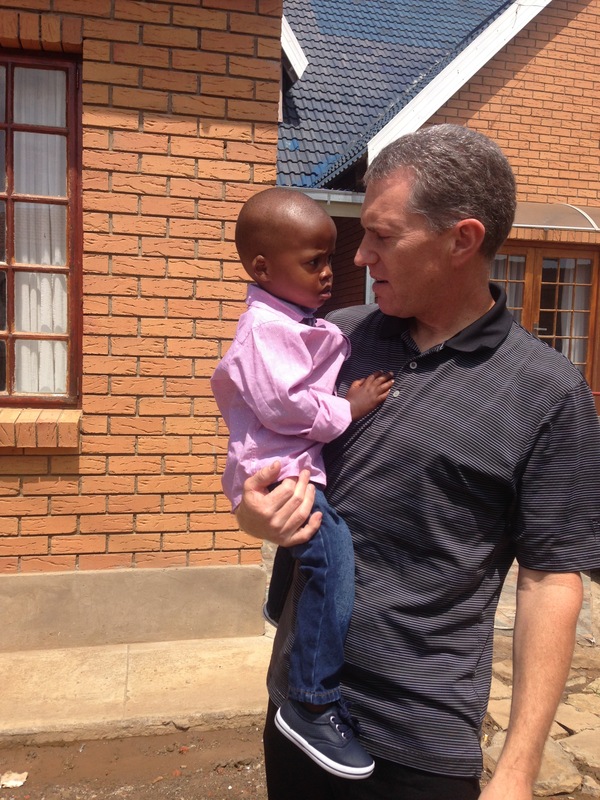 We sat on a sofa at Mohale’s orphanage on the opposite side of our world waiting to see his face. It was a miracle that we were even there. We’d adopted him 18 months prior from afar. After 18 months of hurdles, hoops and red tape, we had been ready to travel to our son. But our USA government required instead that our adoption of him had been legally dissolved and started all over again. It took another full year to redo the long process of international adoption. The entire process took three years. One year ago today, we celebrated, in exhilarating victory. It felt really like a dream coming true- because it was. Our boys had known each other barely one day and already were a comfort to each other. He was placed in my arms one year ago today. Mohale quietly sat as we gently adored him. This son of mine was afraid and also clearly dazed at what was happening. Only 21/2 years old, he clearly had no idea who we were. The fight for him had begun long before he’d been abandoned in that ditch by a hurting and desperate woman struggling to survive- long before he’d been brought to Beautiful Gate orphanage and loved by them as a priceless treasure. Long before that moment, we had prayed for and fought for his life. Now, one year later, his siblings still will turn and say to me- “it feels strange that Mohale is with us- It seems like we still need to go get him.” It had become our familiar normal to fight for him. His adjustment has been far easier than most post-adoption adjustments. Because of others who had also fought for his life- those who loved him at Beautiful Gate Orphanage Mohale’s adjustment into our family has been remarkable. Those who loved him within the orphanage loved him fully as they prayed he’d someday have a family. They loved him fully while praying that their own hearts would be broken. Because of this kind of love, Mohale’s young heart had learned how to love. This kind of attachment in an orphaned child is incredibly rare. Because of people who allowed their hearts to be shattered,Mohale’s heart is whole. 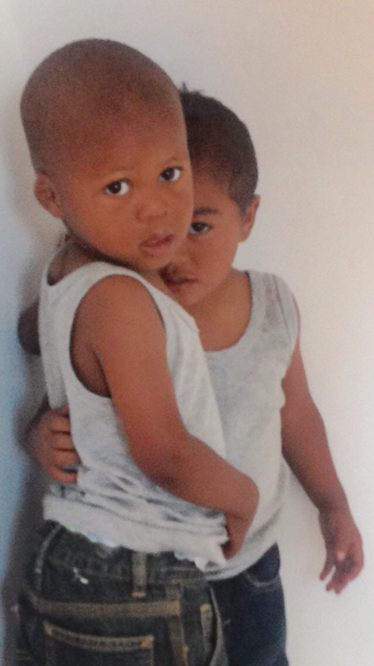 Most treasures who have been without parents at even an age as young as Mohale, struggle with attachment. 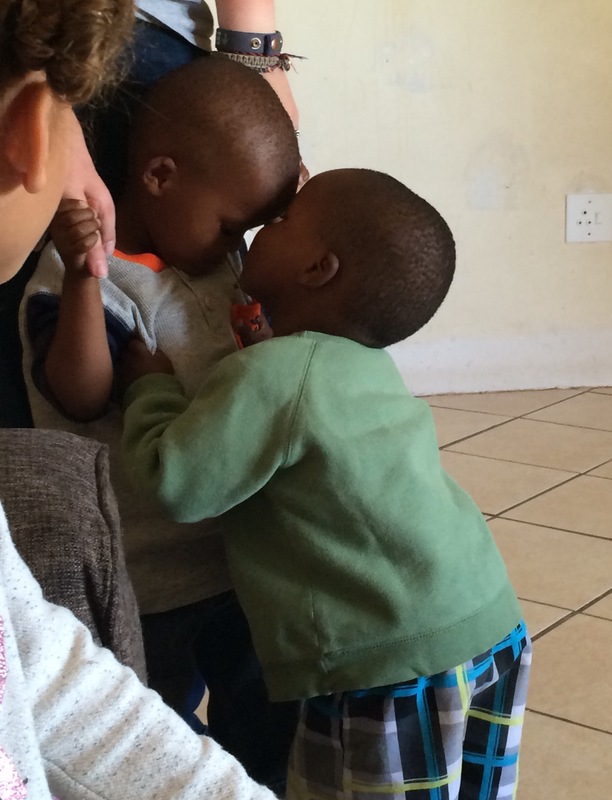 This little one, clinging to Mohale, was Mohale’s “best friend” at the orphanage. It is heart shattering that he could not come home with us. The beloved “Soldiers” at Beautiful Gate orphanage love on, speak for, care for and are family to countless “unadaptable” orphans. Do u have it in your heart to support or care for unadaptable children? Liam prayed for 4 years for these two little miracle brothers. Mohale bonded incredibly fast. Somehow he knew we were his family and his heart began to knit into ours within the first month. This is nearly unheard of. It speaks volumes about those who loved him passionately in the wait. 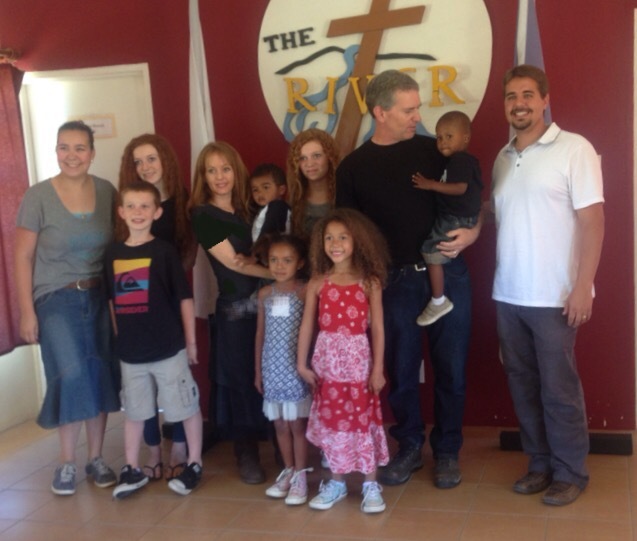 It speaks volumes about how they are changing lives of orphans- most of whom are not adoptable. One year later, our “twins” continue to adore each other. They are seriously double cuteness. 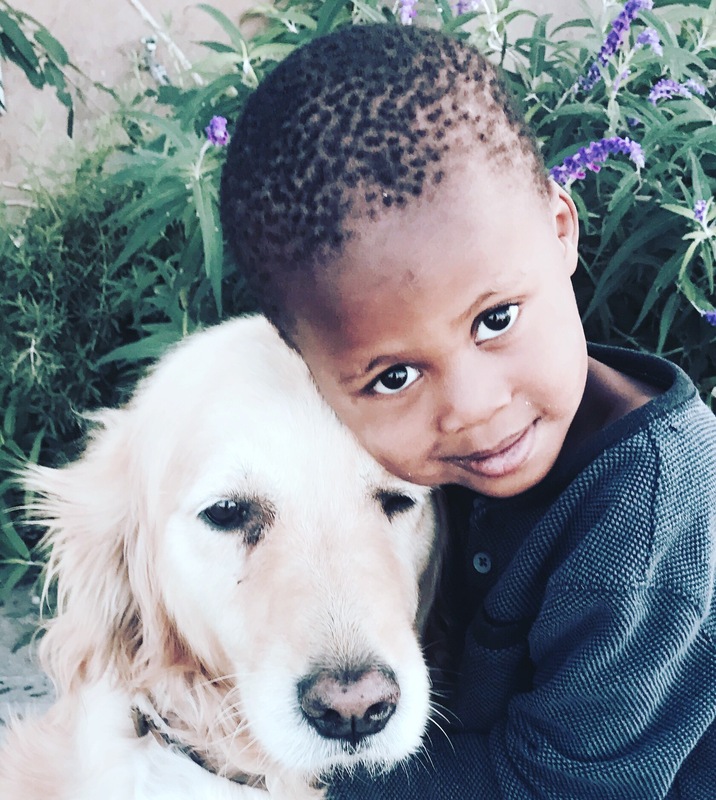 Mohale’s bloomed into a brilliant three year old who loves hugs, laughs incredibly often and takes an interest in others. Mohale has a special gift of technical prowess. David had to remove the control panel off the side of our hime because Mohale figured out how to override the passcode. He presses all the buttons randomly until the garage would open. It is remarkable that every time, he remembers the last numbers pushed in the correct order so that he can repeat it again. He used this same method to get into my iPhone and iPad. Have you noticed that when you have a dream, there are voices that call you back to safety? We were told over and over by well meaning others that adopting was not wise. “What about your children that you are already responsible for? What will this do to them? We have heard this warning more times than I can count. This question was directed towards us often at each adoption. Yet, we’ve watched our childrens hearts also be comforted and impassioned for those close to His heart. We’ve watched them embrace a world view beyond our current comfortable culture. One year later- Emma and our 7 kids. have become forever changed by passion for Mohale and Joseph. Our oldest children were forever changed by passion for their little sisters. Each is naturally fervent about children in need. Each is amazed at the Love of One who suffered out of love for us. They do not want to live comfortable and safe in a world that is not. They each advocate for risk on behalf of the One who loves. Each one is undeterred by the thought of risk. Our lives are beautiful because of you. The love I have for you, my son, is beyond description. I do not deserve this honor and I pray daily that our Shepherd loves you through me. allowed and prepared me for the undeserved honor of being your mom. Gratefulness within is vast beyond my ability to describe. because we dared to step out and walk where we were told was impossible. What risk have you considered stepping out towards? Buckets of tears were shed and countless nights of sleep lost. We experienced miracles because we had stepped out to where miracles were needed. we had NO MONEY for this adoption. unbelievable and only explained by supernatural. What passion is within your heart? He invites us to walk on water towards Him. What obstacles shout at you to turn back? What lies are being spoken to you? Turn from the voices that call you back to safety and continue to walk on water towards the One who placed the passion within. Be willing to be broken. These treasures are worth indescribably more than a shattered heart. He was shattered for us. Let’s be willing to be broken. Shattered hearts and lives in His hands are the most beautiful kind. when we step out where miracles are required. Previous PostAlyssa’s Birthday! Next PostGo change the world- not your uniqueness.